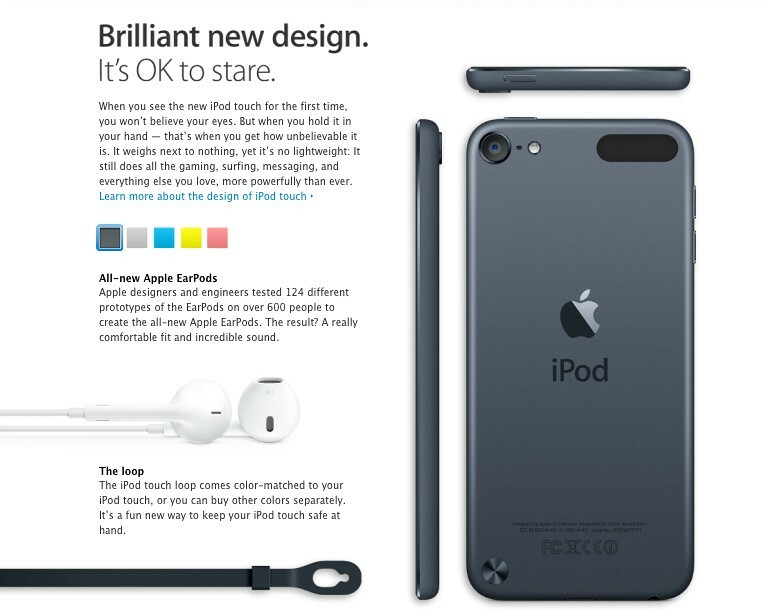 Apple is now live on stage at the Yerba Buena Arts Center in California, where Vice President of Worldwide iOS Product Marketing Greg Joswiak just announced the fifth-generation iPod touch. 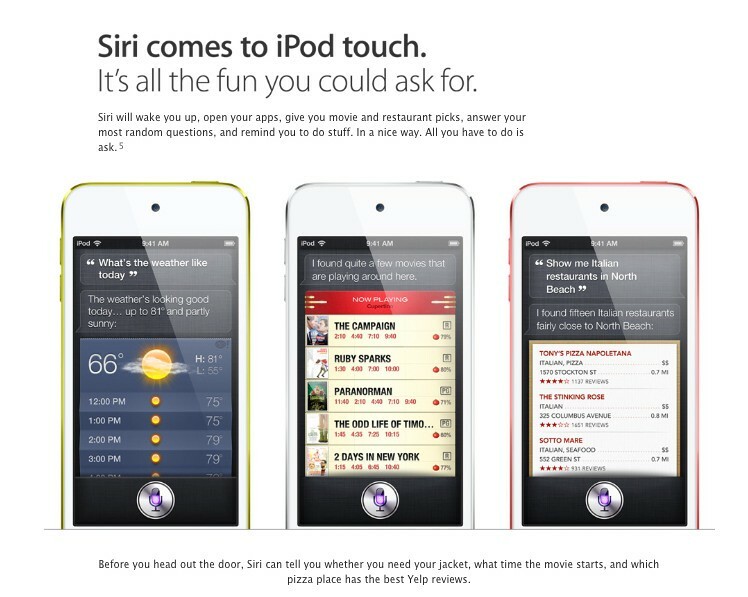 Five new colors (bonus sixth red color for AIDS awareness cause)! 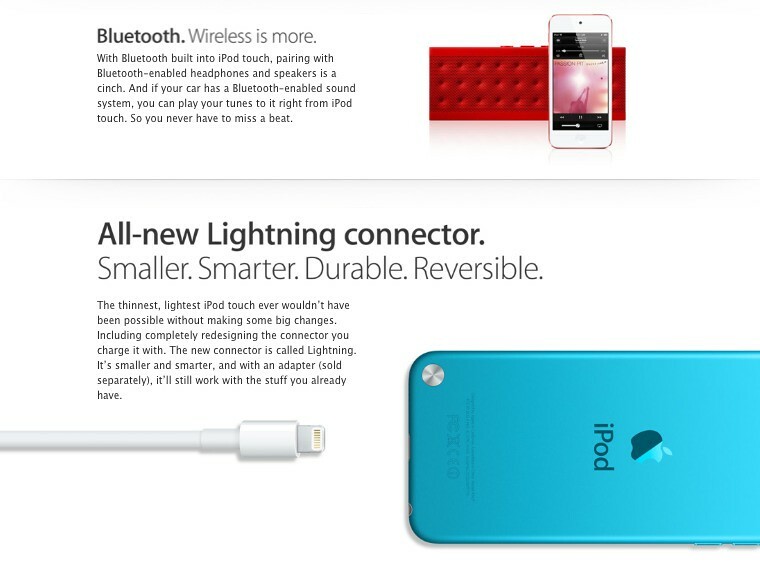 The Loop (matching Touch colors)! 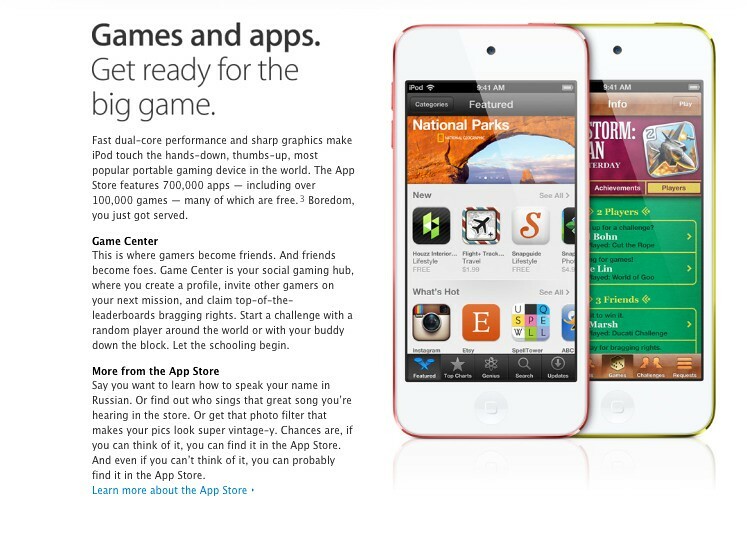 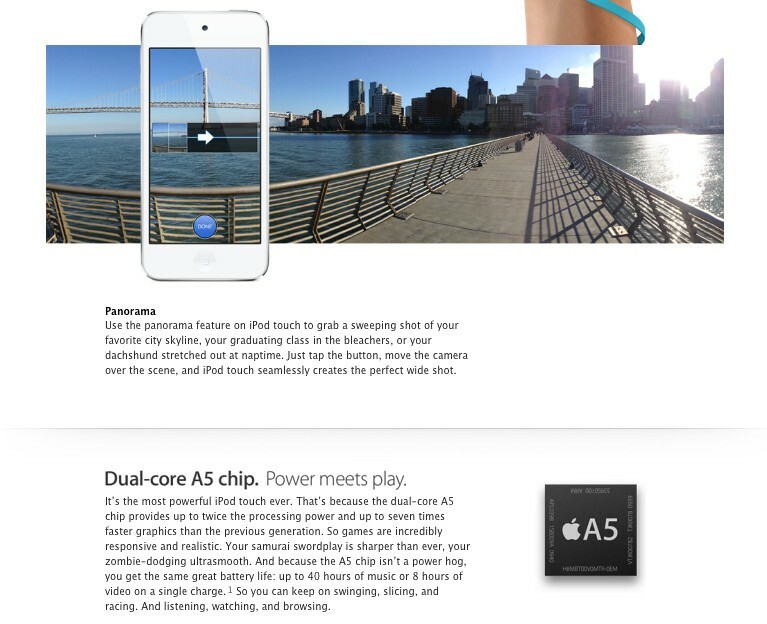 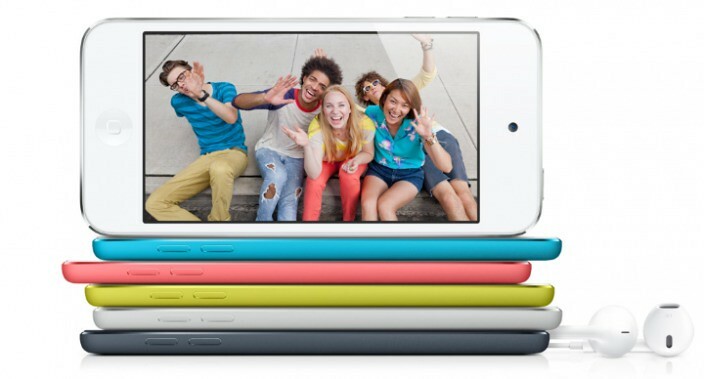 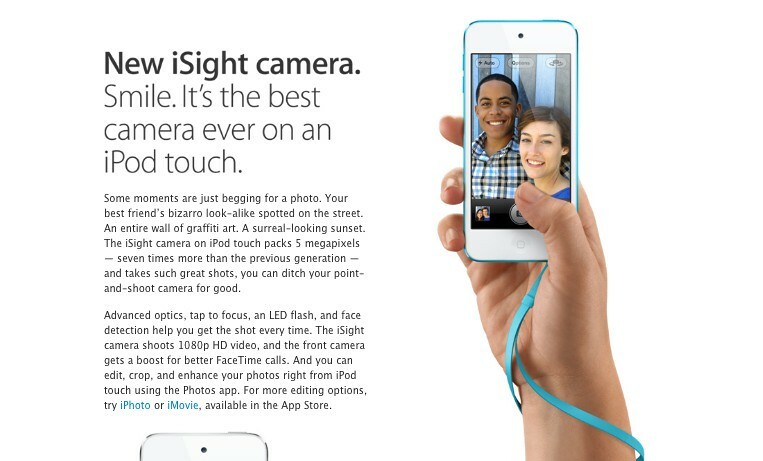 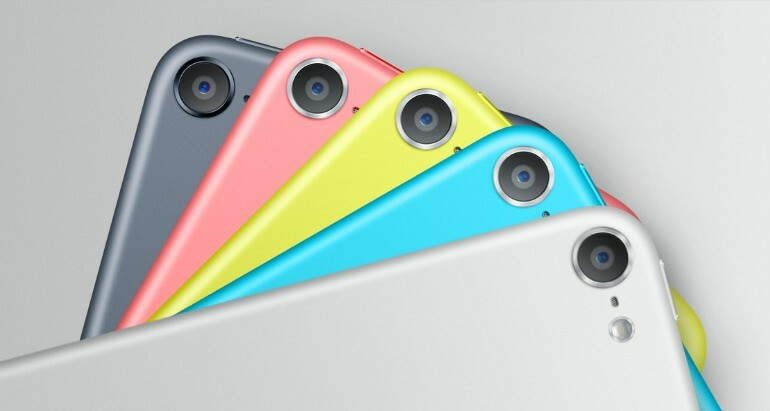 The new iPod touch will release in October starting at $299 for 32GB.